A proposal aimed at guaranteeing nationwide uniformity of meal and rest break rules for truck drivers has hit a snag this year in the U.S. Senate. After a Republican-led effort to attach the proposal to an aviation policy bill was successful, it seems the GOP leadership will sideline the measure temporarily. It is expected to consider a short-term aviation policy extension to avoid interruptions at the Federal Aviation Administration. The agency’s authorization expires Sept. 30. 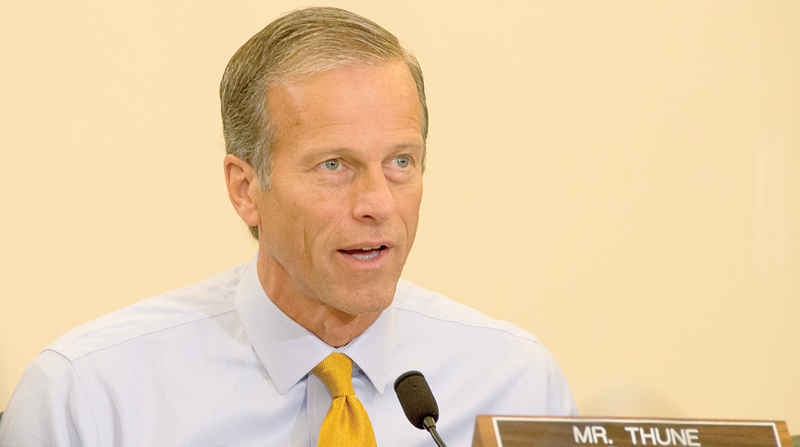 “We’ll probably use a short-term extension to figure out how we finally transact the broader FAA bill,” Commerce Committee Chairman John Thune (R-S.D. ), the legislation’s lead sponsor, told reporters this month, according to reports by Bloomberg News. The Senate aviation bill remains a path toward enactment for the duration of this Congress, which concludes at the end of next year, and a future date has not been fixed. In a show of optimism, Rep. Bill Shuster (R-Pa.), Thune’s counterpart in the House, has indicated he would push for a vote on his version of the FAA reauthorizing measure on the chamber’s floor this fall. In the House, the FAA bill does not include a proposal for meal and rest break. A fiscal 2018 transportation funding bill is the vehicle for the proposal. But that funding bill was sidelined recently to make way for a short-term measure enacted into law that ensures federal funding through early December. American Trucking Associations strongly supports the proposal and has pledged to advance it until its enactment. “Without uniform federal laws and regulations governing motor carriers, multiple layers of rules threaten to impair and impede the movement of freight throughout the country, creating a substantially burdensome and redundant system of rules for operation,” ATA explained to its membership. In a statement to Transport Topics, ATA spokesman Sean McNally said, “ATA is continuing to work with our coalition partners on finding a way forward for this important legislation — including relevant authorizing and appropriations bills — and we are hopeful we will prevail this year." Opponents include the Teamsters union, who has called on Congress to reject the proposal. The general president of the Teamsters argued its adoption would hinder workers’ income and safety. The proposal would clarify a requirement in a 1994 aviation law to block a 2011 law in California. That state’s law requires employers to provide a “duty-free” 30-minute meal break for employees who work more than five hours a day as well as a second “duty-free” 30-minute meal break for people who work more than 10 hours a day.